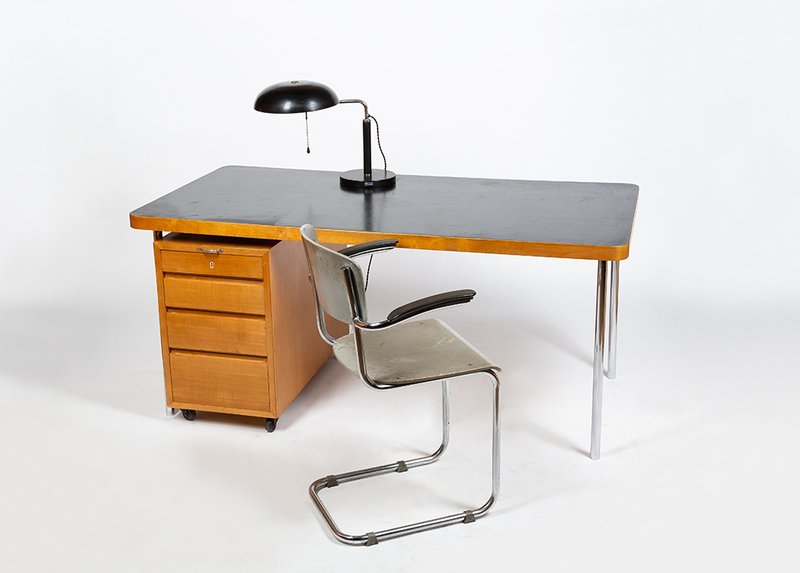 Classic of Swiss production, Marcel Breuer's design for Wohnbedarf in the '30s. 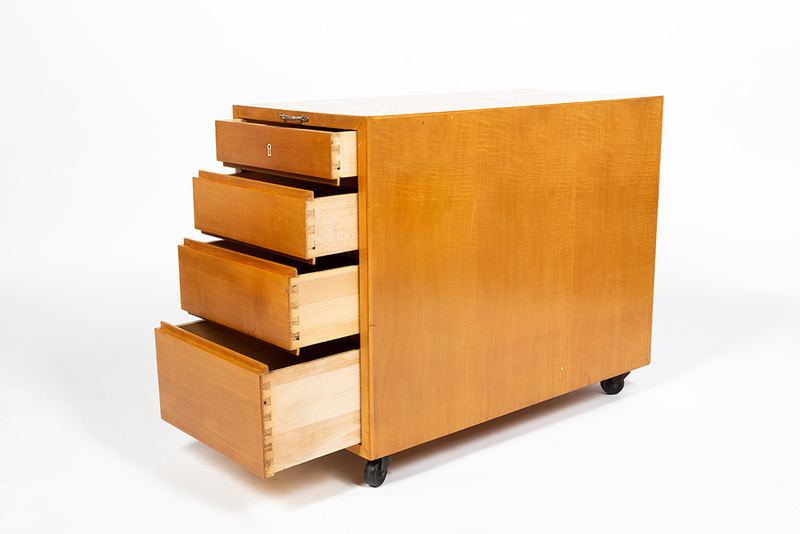 Version with storage box maple. 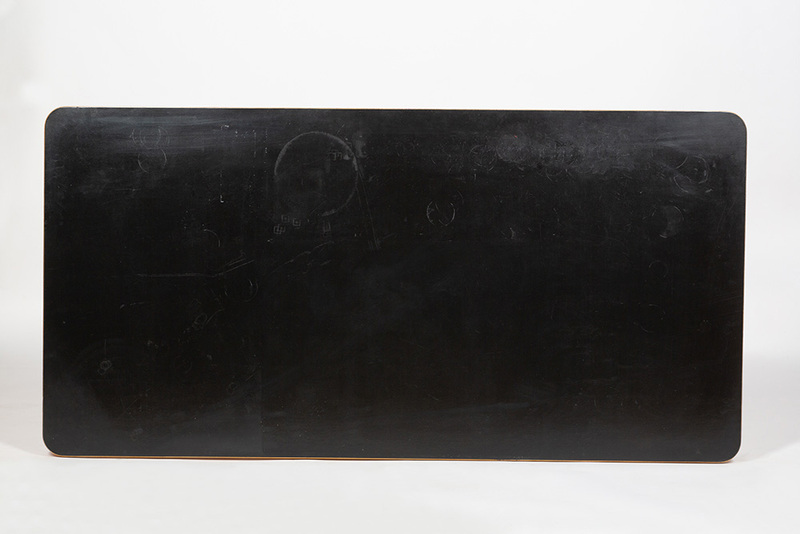 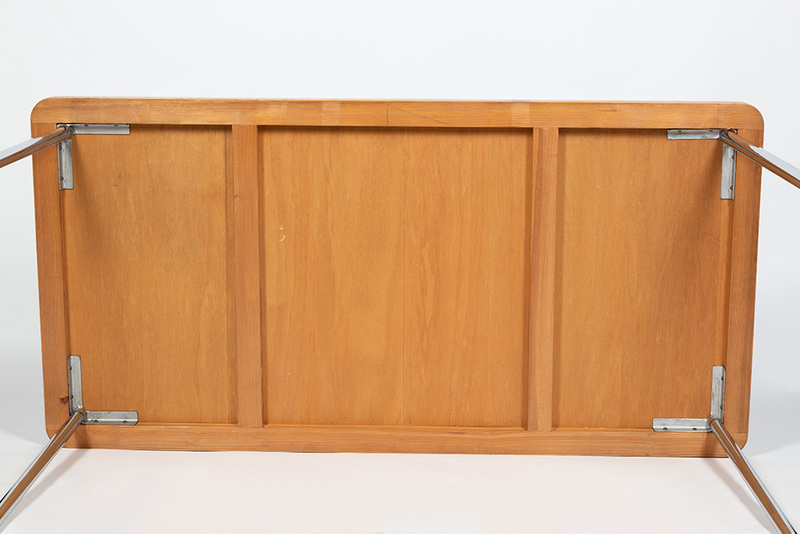 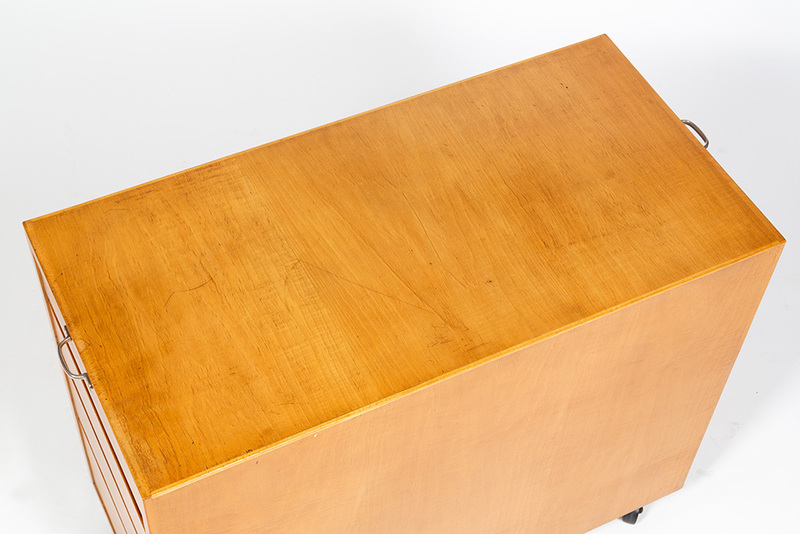 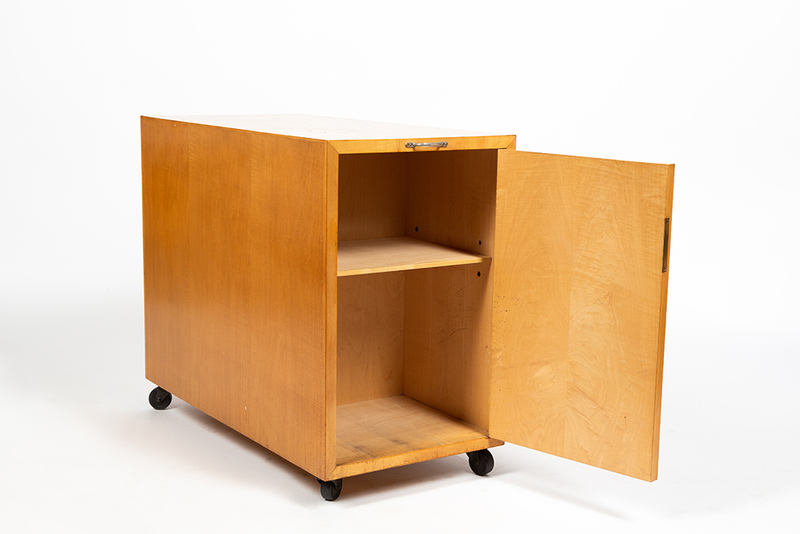 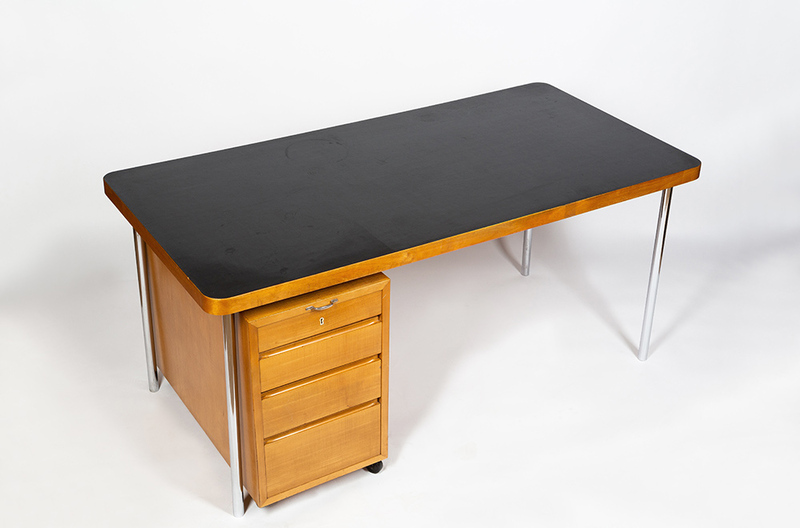 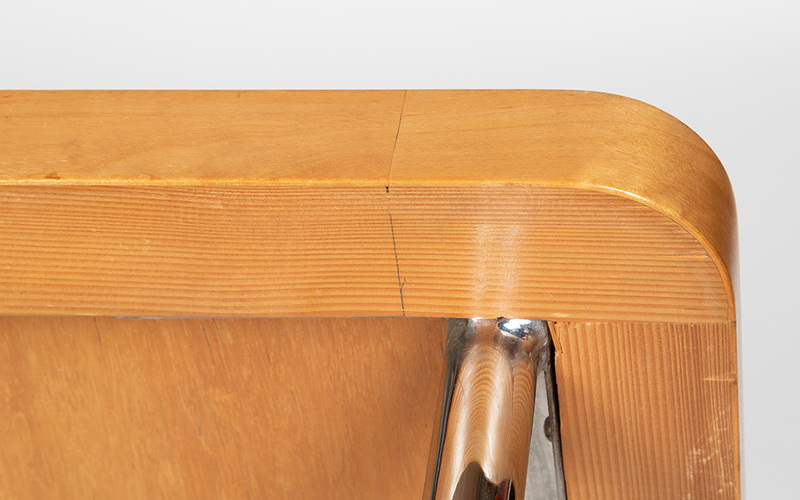 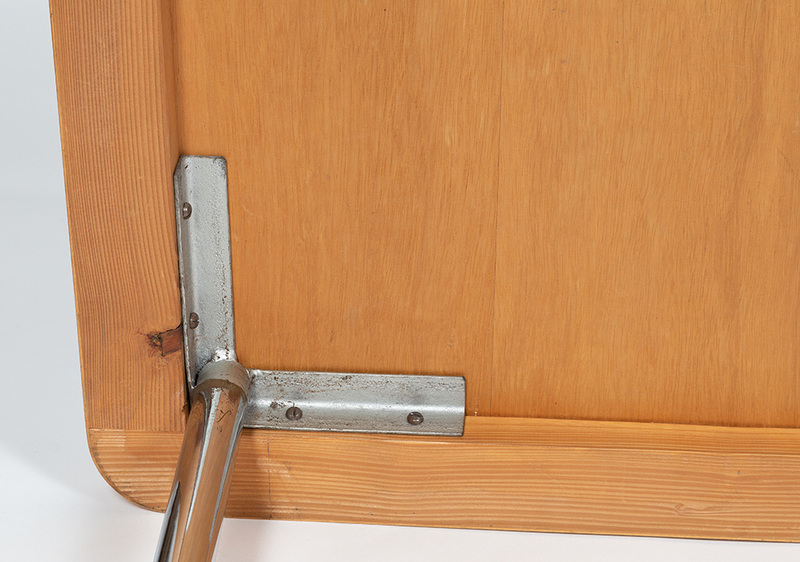 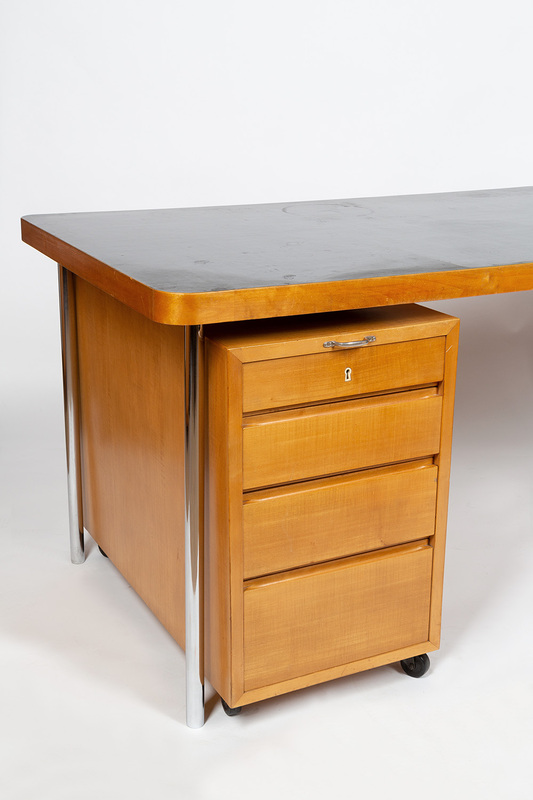 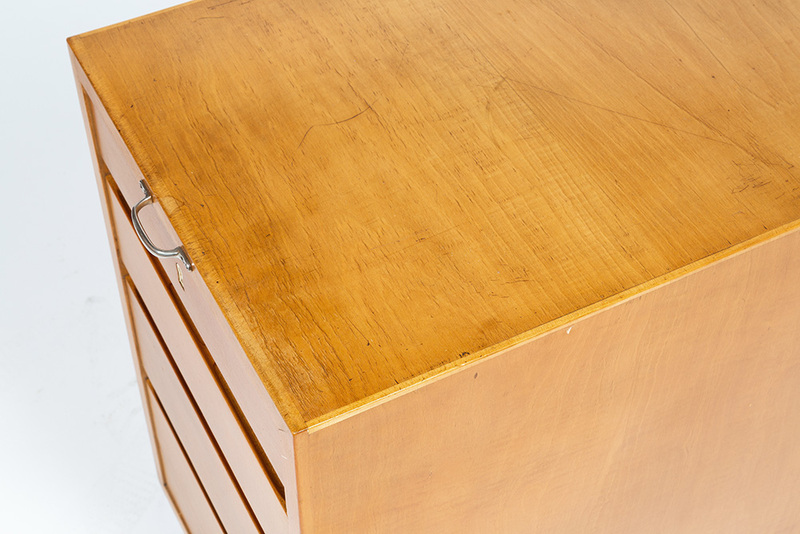 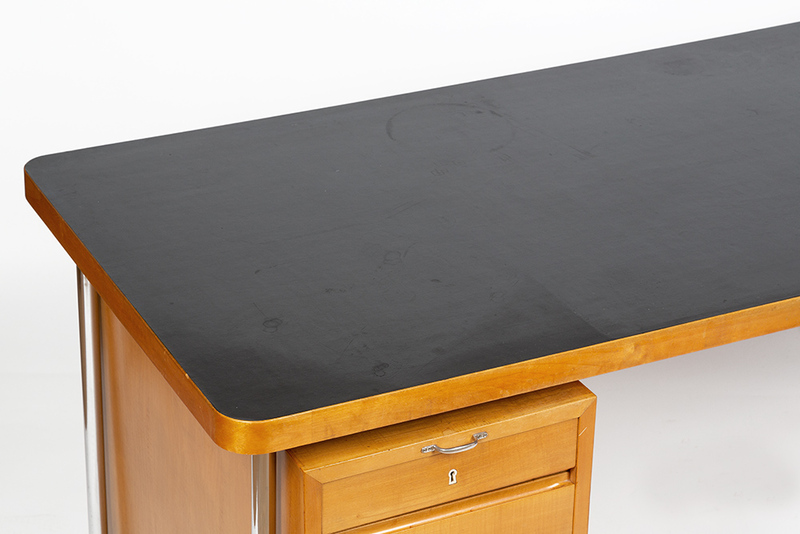 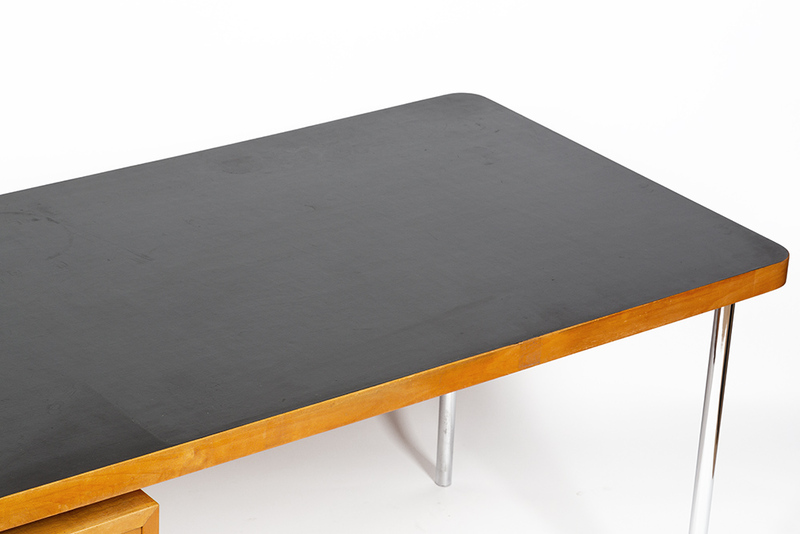 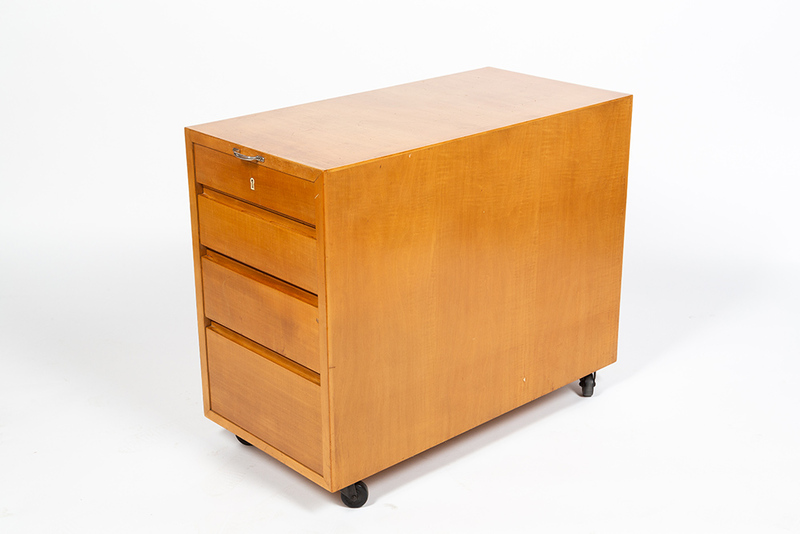 Tubular steel desk and black linoleum top and maple listing, 1940-50s. 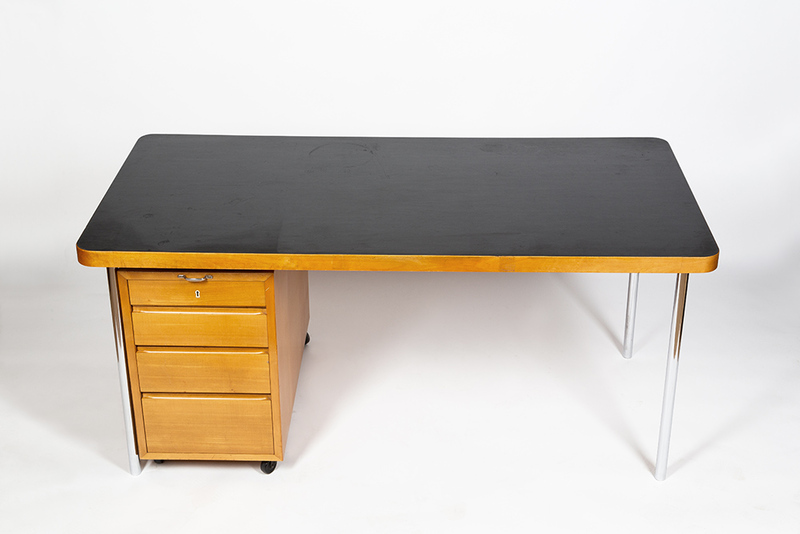 Very good original condition with slight traces of use. 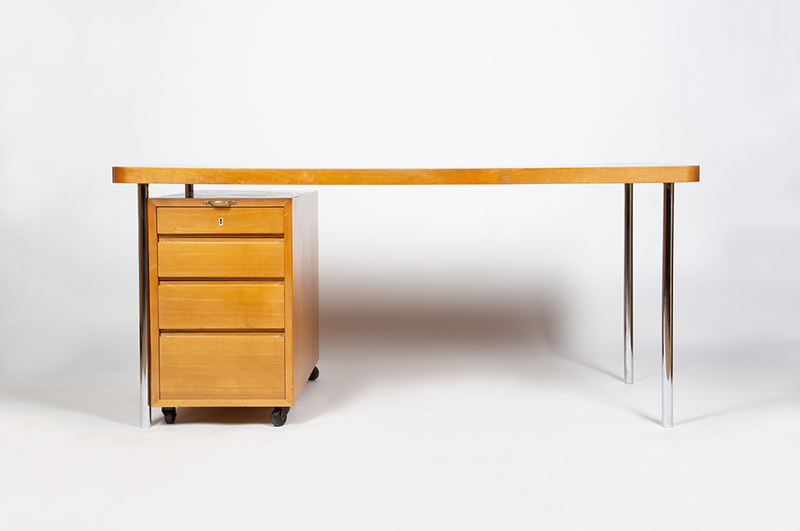 Sold together.